This is the first in a series of articles on the prevention of emergency vehicle crashes. The author, Chris Daly, is a 23-year veteran of the fire service and a full-time police officer who specializes in the reconstruction of serious vehicle crashes and emergency vehicle crashes. He developed the “Drive to Survive” training program (www.drivetosurvive.org) and lectures nationally. The staff of the Municipal believes Daly’s information is relevant for any driver of a vehicle: emergency response, municipal, personal or commercial. You arrive at the firehouse and walk into the radio room, only to find four of your co-workers sitting in their chairs like statues, afraid to move a muscle. An engineer is teetering on a pile of phone books, trying to keep his balance: in one hand he is pointing a cocked gun at your lieutenant’s head while in the other he is barely holding onto a live hand grenade with the pin pulled out. What would you do? While that scenario is extreme, it’s really no different than a scenario that repeats itself thousands of times each day across our country. Public service apparatus operators regularly place their colleagues in situations that could result in death or serious injury with just one small slip of the hand. Driving a moving fire truck at 60 mph on a rain-slicked roadway is no different than the radio room scenario. Yet every day, firefighters and officers across the country allow this scenario to repeat itself. For that reason, every year we add an average of 15 firefighters names to the National Fallen Firefighters Memorial in Emmittsburg, Md. In addition to these 15 fatalities, hundreds of firefighters and innocent civilians are injured each year due to fire apparatus crashes. It is time that we finally stand up and say enough is enough. It’s time to start saving our own. During my time in the fire service, I have learned that there are several types of people who drive fire apparatus. Some take the responsibility seriously and do everything in their power to ensure that both personnel and equipment make it to the scene in a safe and timely manner. These are the drivers who sit patiently and wait for the crew to put on their seat belts before putting the rig into drive. They are skilled and knowledgeable, calmly threading the rig through heavy traffic without breaking stride. Some apparatus operators intend to give their colleagues a safe ride but tend to succumb to the tunnel vision that results from flashing lights and screaming sirens. These drivers simply need a small reminder from the officer or a fellow firefighter telling them to slow down. Afterwards, this type of operator apologizes to the crew and hopefully remembers the next time not to get caught up in the moment. Finally, there is a third type of apparatus driver who has already stopped reading this article. This type of operator thinks they are the best drivers in the world and they can handle their 30,000 pound rig under any circumstances, at any speed and under any weather conditions. These are the drivers who leave your knees shaking as you get off the truck to go investigate a fire alarm. These are the drivers who hop out, light up a smoke and say “That was a good scrape!” referring to the harrowing ride they just provided you. These are the drivers who must realize no matter how long they have been driving, or how good they think they are, at some point, Mother Nature will take over and the vehicle they are driving will lose control. The purpose of this multi-part series is to make drivers, officers and firefighters aware of the limits of driving a moving vehicle. The concepts presented will explain how easy it is for a vehicle to lose control. It is my hope that by educating everyone who sets foot in a vehicle about to the dangers of unsafe driving, fire fighters, officers and municipal employees everywhere will be “peer pressured” into driving in a responsible manner. 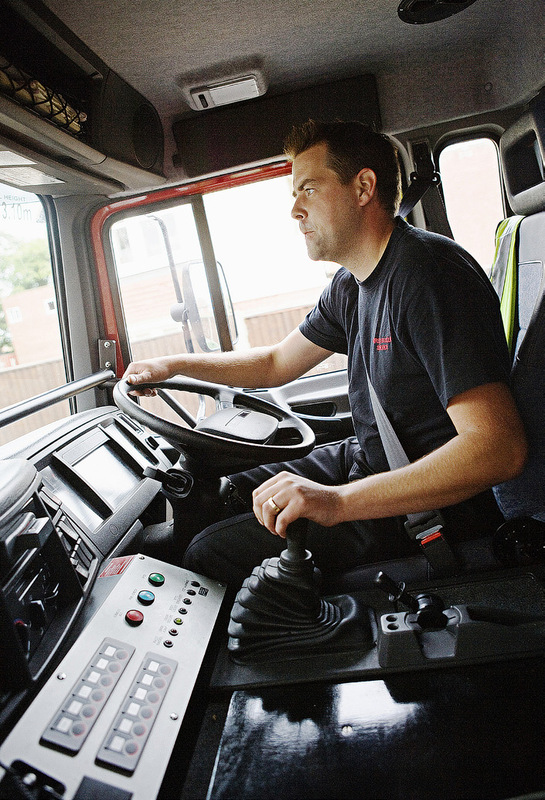 We must recognize when apparatus drivers are taking unnecessary risks with lives. Often, a shout from the back seat is enough to remind an unsafe driver he holds several other lives in his hands. By training everyone in the safe and proper operation of fire apparatus, the annual number of fatalities and injuries can be reduced. If nothing else, it is my hope that everyone will understand the importance of the following words: slow down, buckle up and think! Fireman and Firerescue1.com. He has a master’s degree in safety from Johns Hopkins University. He can be contacted at station56@aol.com. This is the first in a series of articles on the prevention of emergency vehicle crashes. 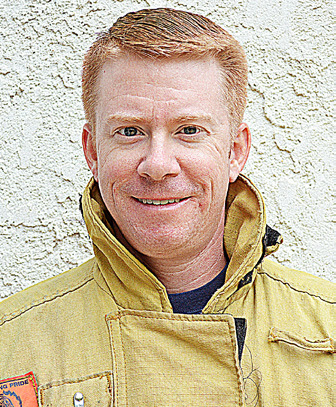 The author, Chris Daly, is a 23-year veteran of the fire service and a full-time police officer who specializes in the reconstruction of serious vehicle crashes and emergency vehicle crashes. He developed the “Drive to Survive” training program (www.drivetosurvive.org) and lectures nationally. The staff of the Municipal believes Daly’s information is relevant for any driver of a vehicle: emergency response, municipal, personal or commercial. Daly has been a contributing author to Fire Engineering Magazine, the Pennsylvania Fireman and Firerescue1.com. He has a master’s degree in safety from Johns Hopkins University. He can be contacted at station56@aol.com.